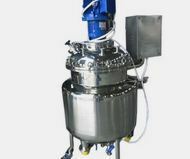 We manufacture, export and supply a wide range of Reactor Vessels. These are designed and developed using supreme quality components and modern technology under the guidance of skilled professionals. Our offered range is highly appreciated in the market due to its smooth operation, sturdy construction, less maintenance, corrosion resistant nature and longer service life. 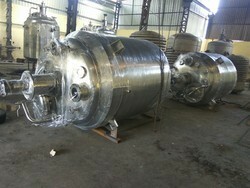 We manufacture, export and supply wide range of Reactor Vessels. These are designed and developed using supreme quality components and modern technology under the skilled professionals. Its capacity ranges from 1KL to 10KL. Our manufactured reactor vessels is a virtual reaction-processing tool that is used for transforming starting compounds to products according to a given chemical reaction. This is fabricated from qualitative raw material and highly appreciated for its wide chemical and temperature tolerance.